London motorists have the most range anxiety, although feel the most confident about doing basic repairs on electric cars. 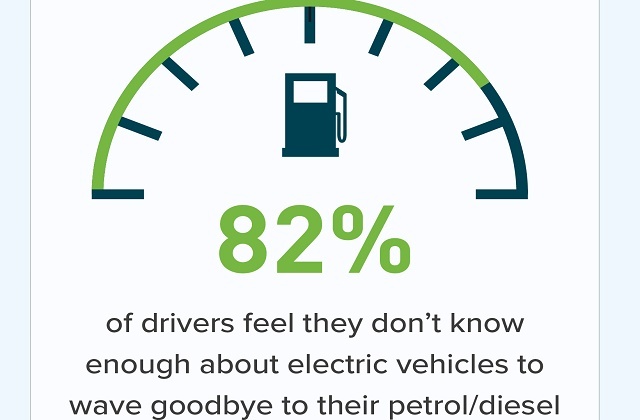 According to new research* commissioned by the Institute of the Motor Industry (IMI), 82% of drivers feel they don’t know enough about electric vehicles to wave goodbye to their petrol/diesel. Two thirds (66%) said they wouldn't know where to find a charging point and nearly a third say they will never change to electric. This should be troubling news for government, which has set itself a target of 2040 for a complete ban on the sale of new diesel and petrol vehicles. Londoners appear to be the most unsure about electric vehicle range, yet are the most confident about owning an electric vehicle. Worryingly, London drivers also seemed to have the most confidence about doing basic repairs on an electric vehicle, which could have potentially fatal consequences. The IMI study found that three quarters of drivers who hadn't yet made the switch felt extra government subsidies would make electric vehicles more accessible. And they believe government needs to do more to educate car buyers on the benefits of switching from petrol/diesels to low emission vehicles. The IMI research also identified the lack of knowledge about the expertise and training required to service and maintain electric vehicles. The professional body for the automotive sector found that 9 in 10 drivers are not aware of the current training and qualifications necessary for technicians to work on an electrified vehicle. Yet, more troublingly, over half (59%) of respondents said they would be confident to perform basic maintenance tasks on an electric vehicle themselves. With no minimum training benchmark currently in place for technicians and car technology becoming increasingly complex and potentially more hazardous, the IMI is working with government to implement a Licence to Practise for vehicle technicians working on electric and hybrid vehicles. “Range anxiety is one of the main reasons drivers are put off making the switch. Yet the IMI found that people’s weekly mileage is between 60-100 miles, which means that most drivers could actually make the switch to an ultra-low emission vehicle and would only need to charge their car once a week.